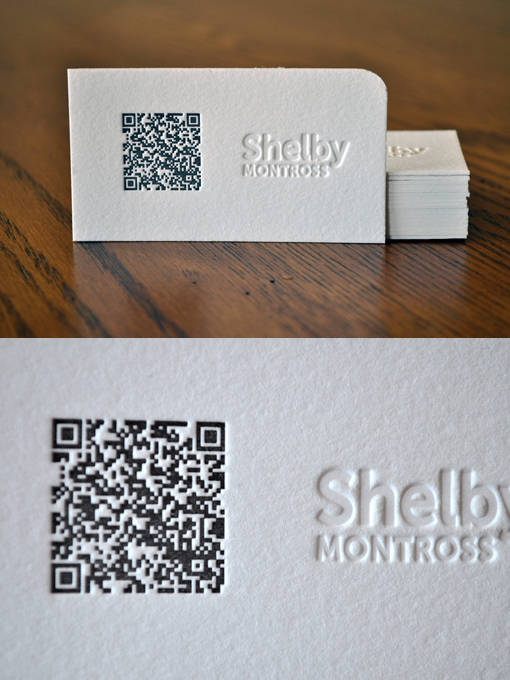 This card is a QR Code that has been letterpress printed and can even be read using your smart phone and the photos of the card. The design is meant for personal and business use. The inspiration was combining old technology (letterpress) with new (QR codes and social media) while keeping the design very minimalistic using a blind emboss and black ink on Crane's Lettra #220.